Have you heard of a case currently under review called Janus v. American Federation of State, County, and Municipal Employees, Council 31 (known commonly as Janus v. AFSCME)? Consider this your explainer as to why it’s been getting so much attention over the past year. Let’s start with the obvious. 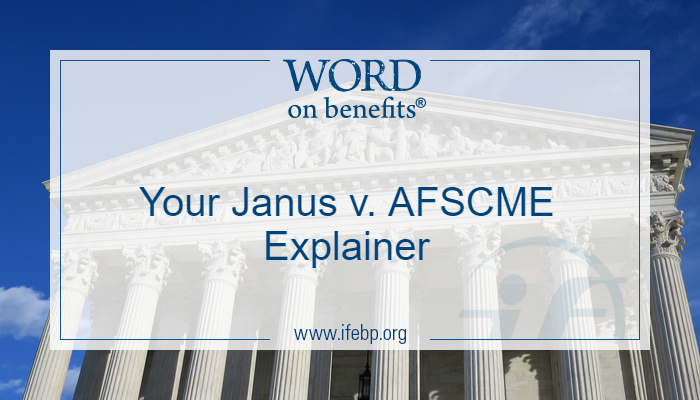 What is Janus v. AFSCME? It’s a case pending before the Supreme Court of the United States. Oh, so I take it the main players are Janus and AFSCME? Yes. Mark Janus is a child support specialist working for the State of Illinois. AFSCME stands for the American Federation of State, County and Municipal Employees. AFSCME Council 31 represents, bargains and negotiates on behalf of public sector employees in the State of Illinois, including Mark Janus. Is there any background information I should know before we get to the actual lawsuit? The idea behind these fair share fees rests on the fact that individuals are represented by a union regardless of whether they want to be or not, since they receive the benefits of the union’s collective bargaining. So the theory is that everyone should pay their fair-share in fees to the union. This is a percentage of full dues that is specifically related to the cost of collective-bargaining, including bargaining for wages, benefits, grievance procedure, and all protections of the collective bargaining agreement. Where did this system of fair share fees come from? Believe it or not, the Supreme Court! A much older Supreme Court case, decided in 1977, called Abood v. Detroit Board of Education decided that this system of collective bargaining and fair share fees is legal. What is this legal argument about? 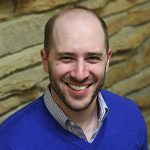 (2) That fair share fees are a form of compelled speech that deserves “heightened constitutional scrutiny.” With this higher level of scrutiny, he argues that the use of fair-share fees should be found unconstitutional by the Supreme Court. Yeah, I’m going to need you to break that down for me. Of course. In his first argument, Mr. Janus is saying that because AFSCME is bargaining with a governmental entity (in this case the State of Illinois), it should be viewed as a political activity. He has, in particular, disagreed with AFSCME since the union has been pushing for increased employee benefits, even though the state retirement system is deeply in debt. Since Mr. Janus views bargaining with a state entity as a political activity and because he disagrees with the bargaining decisions of AFSCME, he is arguing that his First Amendment rights are being violated under the current collective bargaining system since he is not able to opt out of paying his fair share fees. What does AFSCME say about all of this? They disagree with these arguments. AFSCME believes that collective bargaining is nonpolitical in nature because it relates to employment issues, such as wages, employee benefits, working conditions and more. And since it’s nonpolitical, they argue that it is not even in the realm of lobbying, so Mr. Janus’s First Amendment rights are not being violated. AFSCME relies on the decision the Court found in Abood to support this argument, as well as other Court opinions which have stated that a public employee’s First Amendment rights are limited to speaking out on matters of public concern. So why is this case getting so much attention? Because if Mr. Janus wins, it would affect 22 states that allow unions like AFSCME to collect fair share fees from public sector employees. If this system is found unconstitutional, it would dramatically affect the way these unions, and public sector employees, negotiate for wages, employee benefits, working conditions and more. According to the Bureau of Public Statistics, union membership rates in the public sector are at 34.4%, so a pretty significant number of people will be affected by this decision. Some experts go even further, speculating that the Court may not distinguish between public sector and private sector unions in this decision. If this happens, even more people will be impacted. So when does this get decided?